With more sunny days than rainy days it’s time to get out and start grilling. Our favorite items to grill are pizza, burgers, marinated chicken, and of course steak. I usually make spice rubbed steaks and tuck them away into the freezer. But this night I decided to try something different. I decided it might be nice to have something a little spicy, not too much, since our family doesn’t do spicy. So I put together a rub with the spices we like the best, along with some brown sugar. I rubbed the steaks and put them into the refrigerator to marinated for a few hours. We have a wood-fired grill so they cook over an indirect heat source. If you are using charcoal or gas. I would sear the meat on a direct flame or over hot coals and then move them over to the low heat area of your grill to cook through to the doneness you like. Because of the sugar in the rub, if you keep them over direct heat the whole time, the sugar won’t just caramelize, it will burn. Nobody wants burnt steaks. If you only have a direct heat source it might be good once the meat is seared, to place them in a cast iron skillet, to buffer the flames while the steak finishes cooking to the doneness you like. They smelled delicious while cooking. A little hint of sweet and a little hint of garlic and onion. Just perfect. 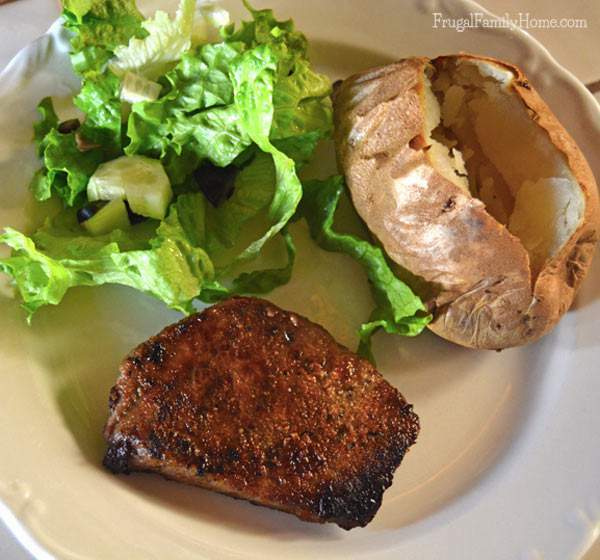 We like our steaks well done. So, we cooked ours until the internal temperature was about 160 degrees. But if you want your steak medium, stick with around 150 degrees or for rare 130 degrees. 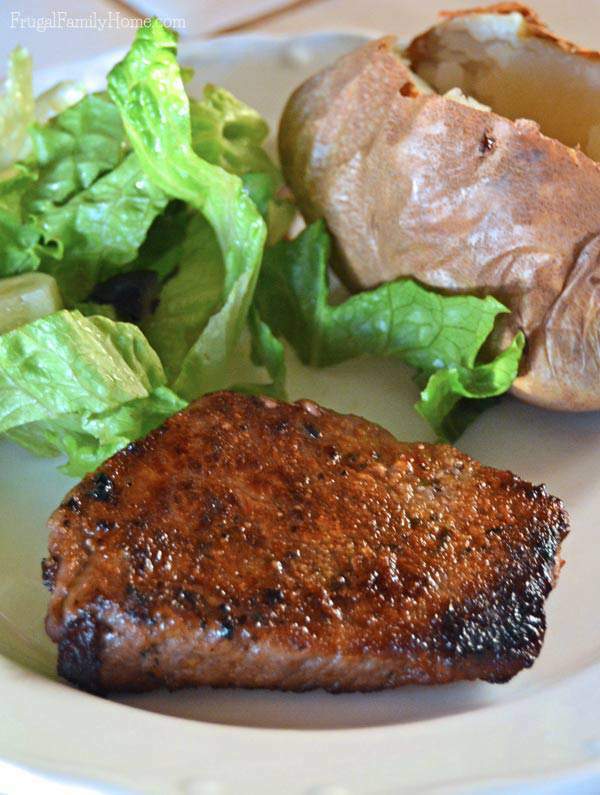 It’s best to use a meat thermometer instead of cutting the meat to keep all of the great juices inside the steak. After cooking the steak be sure to transfer them to a plate and cover with foil. It’s best to let them rest for about 15 minutes, so the juices stay in the meat instead of all over your plate. 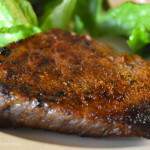 The rub made a wonderful, slightly spicy and sweet, crust on the steak that gave it a slight crunch. The inside of the steak was nice and juicy. 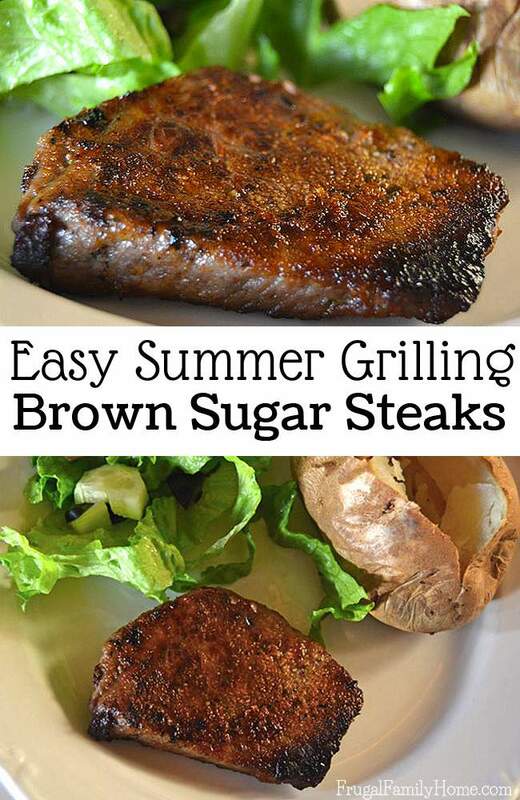 I know I’ll be making these brown sugar steaks for the freezer, along with my spice rubbed steaks. They are just so good. Mix all of the ingredients in a bowl except the steak. 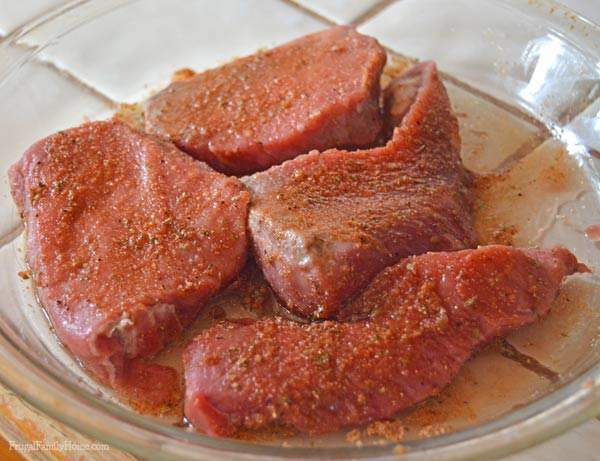 Place the steak in a shallow dish and rub the seasoning mix all over each of them. 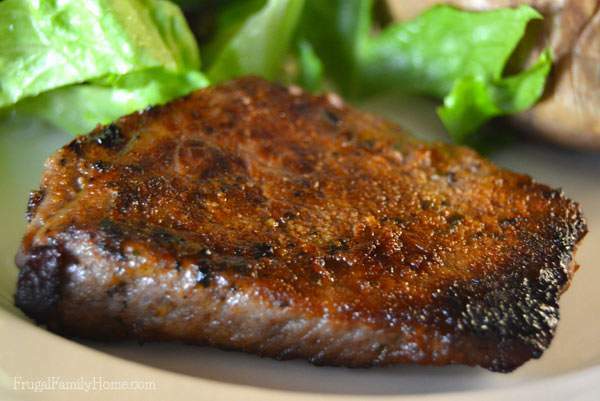 Let the steak marinate in the refrigerator for a couple of hours or overnight. Cook on a grill until done to the doneness you like. After the steaks are done cooking place on a platter and cover with foil and let the meat rest for about 10-15 minutes. What is your favorite way to season steak? Sandra, they were so delicious. 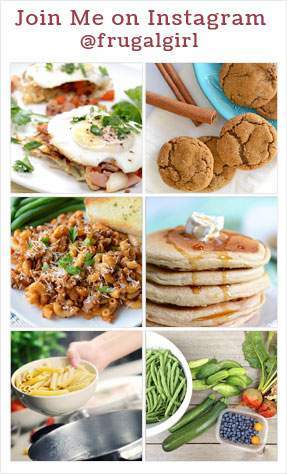 I’m know we will be making this recipe over and over again.